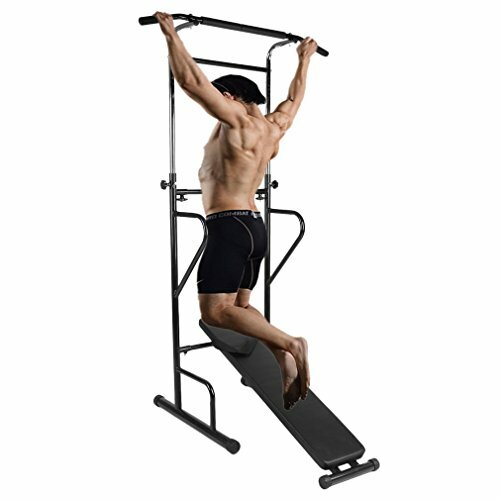 ① Multi-grip pull-up station,help to build better, stronger arms. ② Strengthen core, build muscle, tighten & tone. ③ Home workout device with multiple exercise stations. ④ It supports push-ups, pull-ups, sit-ups, tricep dips, and more. ⑤ Suitable for both men and women. ⑥ Perfect for you to exercise and training. ✅ The push-up station has padded hand grips so you can stay comfortable while you work out. ✅ It will work on your triceps, chest, and shoulders for incredible upper-body strength. ✅ Suitable for both men and women. ✅ Perfect for you to exercise and training. ➊ Please feel free to leave us a message if you have any questions. ➋ We will reply to you within 24 hours and offer you our best services. ➌ If you are satisfied with our products, please leave us your valuable feedback or product review. We appreciate your support. ➍ IF NOT,please contact us first about your problem and we will reply to you ASAP to find out the best way to resolve it. ✅【Sturdy】Tough steel frame support for solid and comfy for workout; multi-grip pull-up station,help to build better, stronger arms. ✅【Height Adjustable】55.11 -86.61 inch. high stability and weight capacity is 220 lbs. The push-up station has padded hand grips so you can stay comfortable while you work out.